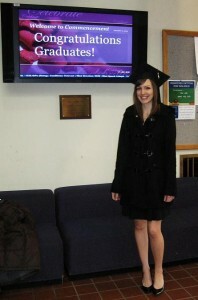 Me after my undergrad graduation ceremony, not yet knowing what I wanted to do next! I took a year off to think about it. Graduate school is a transformative experience. 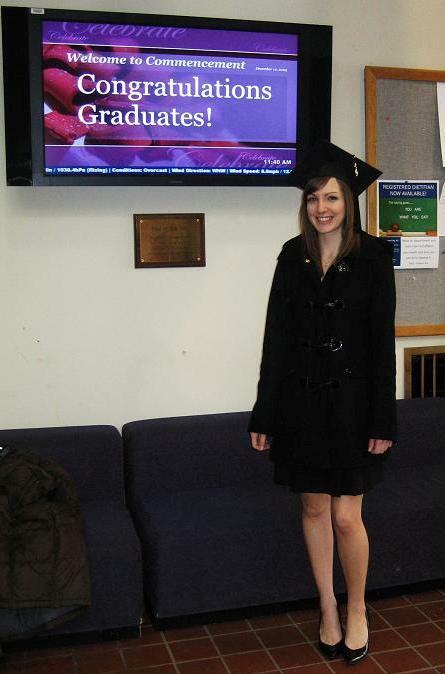 Being at the tail end of my graduate education, I am able to reflect now on just how much I truly have grown since my start in Spring 2011. I also have a better understanding of what is important to take into consideration when thinking about and applying for graduate programs, so I wanted to share some insight on the graduate school application and decision process. Undergraduate and Graduate School vary tremendously in content, structure, and expectation. Thoroughly evaluate why graduate school is an option you are considering. It’s very important to have a specific objective in mind as a potential graduate student. For me, I was working in a higher education staff position and knew if I wanted to provide services and support students truly needed, I would need to develop both skills and the credential that a master’s degree could offer. If the master’s program you are considering requires regular use of a skill you don’t feel is a strength (i.e. writing or speaking), be ready to accept that you may be facing a great challenge – but trust me, it will be worth the growing pains. Decide whether you want to attend on a part-time or full-time basis. Are you working full-time already? Are you willing to leave your position to devote your attention to your graduate coursework, or are you looking to continue working full-time? Is there an internship requirement? It is possible for some to play both the employee and student role full-time or at least one of them part-time, but it isn’t for everyone. Consider your ability to manage multiple important roles, deadlines, long-term projects and maintain energy levels. Research institutions and identify the values that are instilled both within the college’s mission and your program of interest. While several institutions may provide a similar program, the mission and vision of the institution, and the focus and values that form the foundation of the program may be very different. For instance, there are many colleges that offer programs similar to College Student Services Administration, but Saint Rose is different in that the development of counseling/advising skills are an important objective of the program (while other programs focus less on student interaction and more on campus policy development). 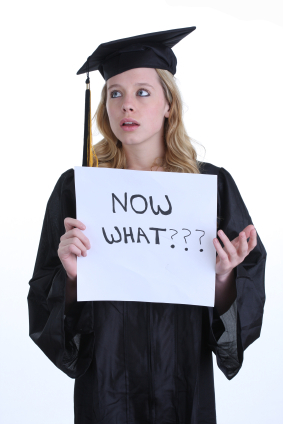 Identify options for scholarships or Graduate Assistantships at your schools of interest. Graduate school is a financial investment. To help offset the cost, many institutions offer either competitive scholarships or assistant positions. The benefit of assistantships is not only in the financial but the experiential aspect. Through working on campus you develop relationships with your campus community/faculty/administrators, valuable job skills, hopefully greater expertise in your area, and a more impressive resume! If you are considering some of these areas and find you could use an additional perspective and advice, The College of Saint Rose Career Center can provide just that. Walk-ins are 12-4 Monday-Thursday for briefer issues/questions/resume & cover letter critiques, and longer appointments are an option for more in depth discussions.